Tiffany Samuels will become the Major Gifts Director for the Cancer Institute effective September 10. 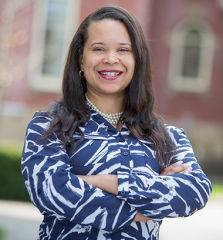 Tiffany served successfully as Director of Development for WVU Reed College of Media since 2015. She now looks forward to focusing her efforts on the Cancer Institute. “As a West Virginia native and resident; I can think of no greater impact that I can have on my state that to represent the health care needs of my neighbors.” Please join me in thanking Tiffany for all of her great work at Reed and congratulate her as she embarks on her next chapter at WVU. Tiffany may be reached at tiffany.samuels@hsc.wvu.edu or 304-293-8604.